Download full-size JPEG (498K) or GIF (592K) image. "Molecular Structure of Nucleic Acids: A Structure for Deoxyribose Nucleic Acid"
The double helix structure of DNA is the source of the genetic code that determines the traits passed along from one living generation to the next. 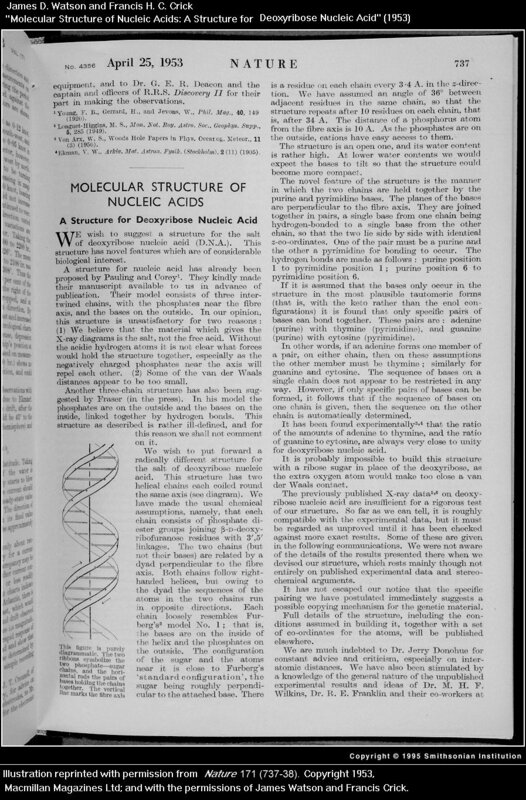 Watson and Crick's discovery of this structure--for which they were awarded the Nobel Prize in 1962-- was first published in two short articles in the British science journal Nature. Illustration reprinted with permission from Nature (171: 737-38). Copyright 1953, Macmillan Magazines Ltd; and with the permissions of James Watson and Francis Crick. Download full-size JPEG (215K) or GIF (142K) image. 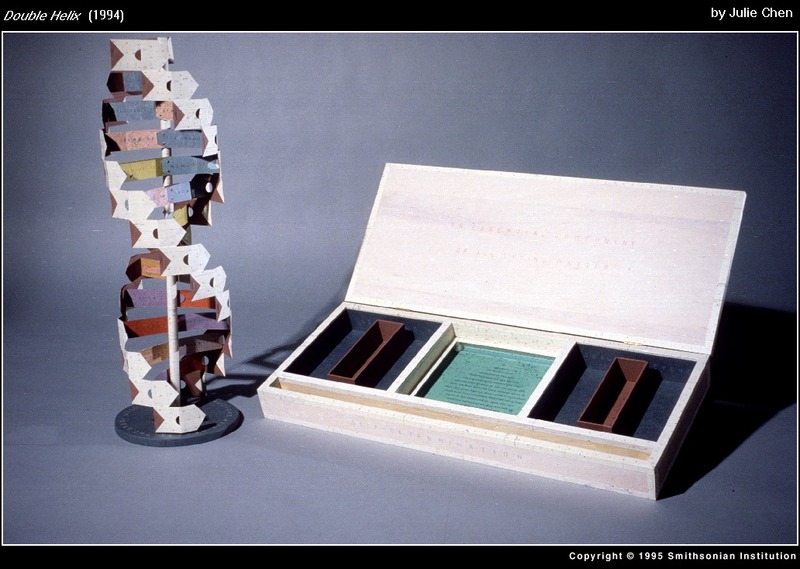 Structure has always been a key element in the artist's books of Julie Chen. She was particularly intrigued by the challenge of designing a book that employed the spiral elements of the double helix. Chen's book is actually a two-volume set fastened together. Each volume represents a single strand of DNA.